Oral care for children is still a hot button issue in this country, but thankfully we’ve seen some improvements over the last few decades – as much due to changing attitudes as developing technology. Having said that, though, we can always do more when it comes to improving our children’s oral health. So, what’s the state of things nowadays, and what other action could we be taking? It’s not a huge leap to understand why dental health is so important early on in life. Our primary teeth (the ones we’re born with) are vital for eating and communicating, and like humans in general they’re especially vulnerable in their early stages. Good attitudes to oral healthcare early on in life, as well as settling on a solid dental care routine, helps form the core foundation for excellent dental health plan later on in life. As adults, the appearance of our teeth can be very closely tied to our confidence and self-esteem. Thankfully, that’s exactly what we at AP Smilecare aim to fix, and we’ve got a wide array of dental treatments to help tackle almost any dental issue. But you know what they say – prevention is better than cure, so it’s crucial to set children on the right path very early on in life. What Are The Government Doing About Children’s Dental Health? British and neighbouring countries’ governments are trying various initiatives to address the issue of children’s dental care, and we’re happy to report that they’re finding a lot of success. According to a report by Public Health England, since 2008 there’s been a 20% drop in cases of tooth decay in 5 year olds, and so far that trend has remained on the steady decline. Not bad! And not only is there evidence to suggest that our overall attitudes are changing over the years, but individual drives are seeing results too. Scotland has seen drastic success in the last few years with Childsmile. It’s innovative dental health initiative that involves (amongst other things), free daily supervised brushing in nurseries to help hammer home the importance of good oral hygiene in young children. The success of this programme saw Scotland saving nearly £5 million a year in treatment costs. What Can You Do To Improve Your Children’s Dental Health At Home? 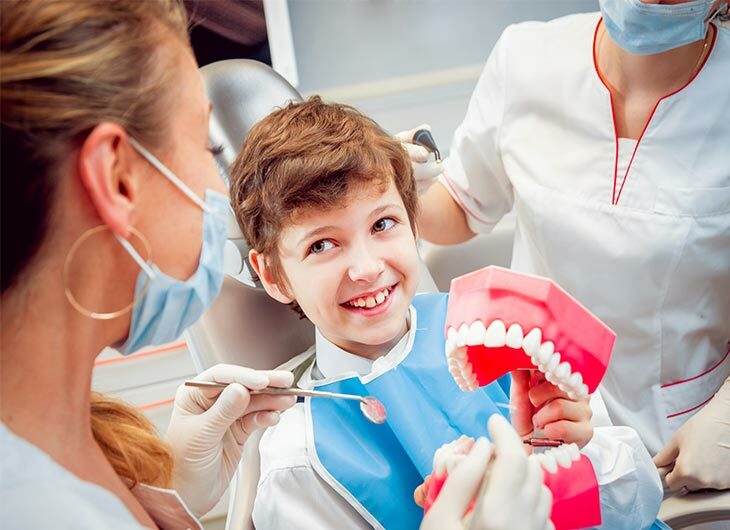 Dental hygiene has never been the most fascinating subject on its own for children, even though so many of them often end up needing braces as teenagers. Happily, as their parent you can make things easier for them. Firstly, take good care of your own teeth – it never hurts to lead by example! 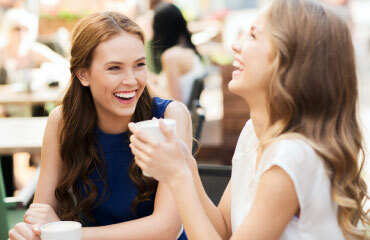 But all the main tips we’ve got follow one very basic principle – make things fun! You can encourage your children to take more interest in their own dental health by giving them elements of control in how they keep their teeth clean. For example, let them pick their own toothbrush and toothpaste, according to their favourite colour or cartoon character of the day. You can even make the timing aspect of it more interesting. You should ideally brush for at least two minutes, and there are novelty children’s timers available that can help while away that time! Whether it’s a simple cheery hourglass or their favourite blue train chugging his way around a circular track, you’ve got lots of options for making those two minutes whiz by. Give them control (for example letting them pick their own toothbrush). Make teeth-brushing more fun with novelty timers. Check their brushing technique regularly. Encourage them to take an interest in maintaining their own oral health. Of course, lots of this comes down to your personal parenting style, but the main takeaway is to make sure your children know that oral hygiene is important. It’s easiest to do this by encouragement and reward, which – as we mentioned – can help them to develop excellent habits early in life. If we might be so bold, though; when it comes to rewarding your children, chocolate might be a bit counter-intuitive. Don’t forget, at AP Smilecare we’re always happy to lend a helping hand, or a quick word of advice. We’ve got an array of dental treatments to help keep smiles looking perfect. Just give us a call on 01254 297 000 or pop into our dental clinic in Blackburn to see what we can do for you!